I discovered this brilliant video on the ModCloth blog. 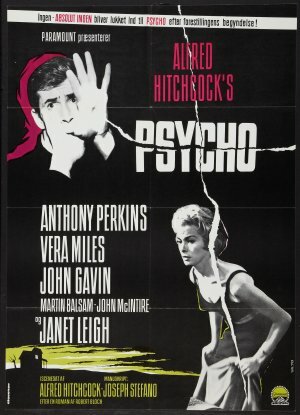 It was apparently created by students at the University of Applied Sciences and Arts in Hannover and is wildly entertaining and insightful, for those who are well versed in the ways of Alfred Hitchcock. Seeing as my blog is named after a technique of the great director, I thought it only fitting to share it with you. It’s certainly worth watching more than once to enjoy all the details contained therein. Enjoy! 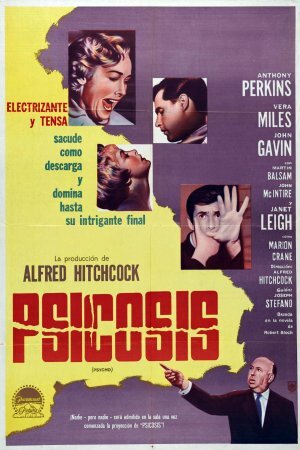 Alfred Hitchcock is most popularly known today as the “master of suspense”, and rightfully so. Most people remember him for the drama of his thrillers and some find his pictures terrifying. What is perhaps ignored by the average viewer, however, is the man’s astute sense of humor. Mr. and Mrs. Smith was the only movie Hitchcock made in America that was strictly a comedy with no suspense whatever. This was not his only venture into the genre, however, as many of his early English films were suspense-free. 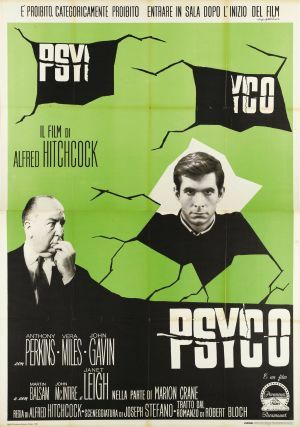 In all Hitchcock flicks, however, the viewer can find evidence of “Hitchcockian humor”, many times slipped in under the nose of the Hayes Office. Much of the master’s humor related to sexual innuendo, and the director was constantly pushing the envelope to see what he could get away with under the Production Code. Mr. and Mrs. Smith is one movie that is all about what consists of proper behavior for an unmarried couple, even if they’ve been married before. Perfectly paired are Robert Montgomery and Carole Lombard as Ann and David Smith. 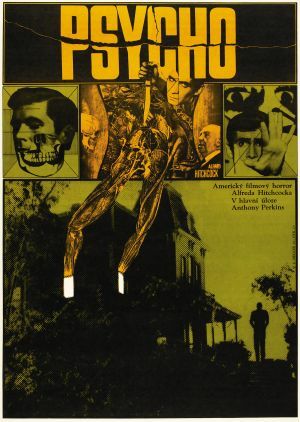 The flick opens with the servants wondering what is going on in the couple’s bedroom, where they have been holed up for three days. The duo has a policy of never leaving their bedroom until an argument has been resolved, David’s job as a lawyer be damned. We come in just in time to see the couple rekindle their affection, but over breakfast, Ann insists on another of their traditions: asking a question to which David must give a totally honest answer. The question is: If you could do it over again, would you marry me. The answer: no. This answer becomes particularly important when later that day David learns that his marriage to Ann is not legal because of a mix up with the way the county and state in which they were married provided the paperwork. The man who delivers the news, Mr. Deever (Charles Halton), knew Ann when she was a girl and so drops by the home to give her the information. Ann is convinced David will marry her right away, but in trying to make a big surprise of the situation, he does not. That leads to Ann furiously throwing her non-husband out of their apartment and returning to her maiden name and life. The remainder of the story involves David fighting to get Ann back while each tries to make the other jealous. Ann does this by dating David’s law practice partner (Gene Raymond). Both are too stubborn and too conniving to relinquish control until finally their games land each in the other’s arms. The fun in Mr. and Mrs. Smith is not just the almost screwball-style of acting our stars bring to the screen –I’ll get to that momentarily– but the moral questions it raises. 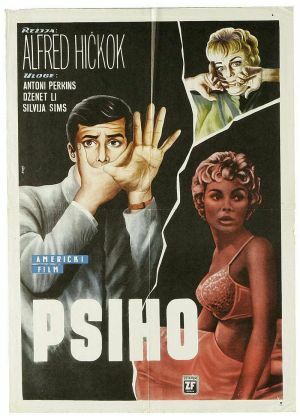 Hitchcock loved to create circumstances in his movies when an unmarried couple find themselves forced to share a bedroom (see The 39 Steps and Spellbound). In this case the viewer cannot help but wonder about just how wrong it was that the two have been sharing a bed for three years and whether they can continue to do so without redoing their vows. This movie could obviously never be made today and make any sort of sense. Mr. and Mrs. Smith is pure gold for me. With my two favorite actors in the lead paired with my favorite director, the movie cannot go wrong. Lombard is as zany as she is in My Man Godfrey, although, her character is more on the sane side in this case. Montgomery really brings out his comedic side as well, both in dialogue and physically. The lines are so well written with such subtle humor and innuendo that the more you pay attention the funnier the movie is. I could watch it everyday. There’s a reason Alfred Hitchcock remains probably the best remembered director in movie history. His unique style of both filming and storytelling have inspired directors for generations and continues today. A few years ago I caught the French film Tell No One (Ne le Dis a Personne) in the theater and it today is still one of the best movies I have ever seen. 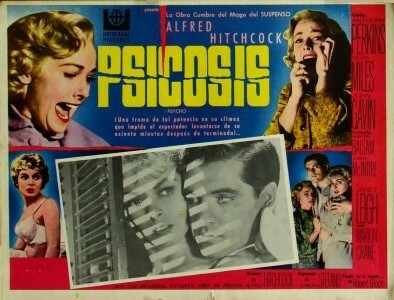 Although most of Hitchcock’s films were adapted from plays or books, they were always given a thorough rewriting, often by multiple scribes. The end result was always something Hitchcockian. 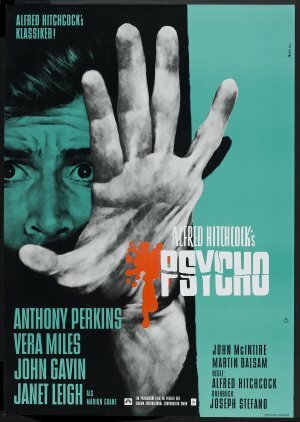 When viewing his body of work, certain plot themes arise, primarily the “wrong man” scenario and the chase. Besides the movie The Wrong Manthat was based on a real-life incident that resembled a Hitchcock plot, the master of suspense used this approach in many others including The Man Who Knew Too Much, The 39 Steps, To Catch a Thief, North by Northwest and Frenzy, among others. A story centered on a chase is also used repeatedly in Hitchcock’s repertoire, whether that chase happens around a city or across the country culminating at Mount Rushmore. Tell No One has both these elements on top of a fantastic mystery. 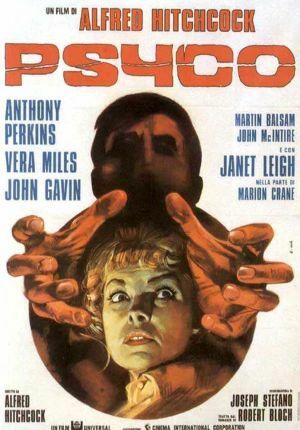 But the movie does not just draw from Hitchcock in its structure; it also has the characteristic of many detective stories of the past –such as the Thin Man and Pink Panther movies– that become so complex that a character must explain at the film’s close just what has transpired and what motivated the crime. In Tell No One, Alex Beck (François Cluzet) and his wife Margot (Marie-Josée Croze) are visiting their home town where they grew up together and go for a dip at the secluded lake they have visited every year. After a minor disagreement, Margot leaves the wooden raft they are lying on in the darkness and returns to shore. When Alex hear’s her call out, he panics and swims to the dock where he is promptly knocked out with a bat and falls unconscious into the water. 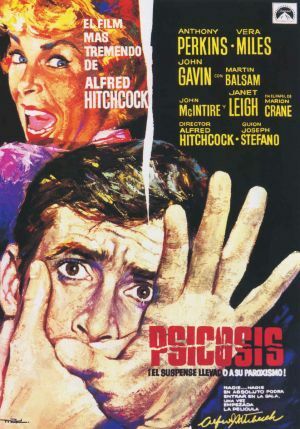 Unlike many Hitchcock films that have the wronged man working as a loner to solve the crime for which he is accused, Alex brings in his sister’s partner Helene (Kristin Scott Thomas) who is willing to believe that Margot is alive. Alex starts to ask questions, first of his cop father in law (André Dussollier) about the appearance of Margot’s beaten face when he identified her (Alex was in the hospital and in a three-day coma after being knocked out into the lake but somehow left on the dock where police found him). The woman had been tortured and left with dead animals therefore appearing to be the victim of a serial killer with that M.O. The story had many holes in it, however, and police had suspected Alex was the killer. Next, Alex inquires with Margot’s best friend Charlotte (Florence Thomassin) about new photos police have presented from Margot’s post office box (held under a fake name) that depict her severely bruised. Charlotte says the injuries were not a result of a car accident as she had been instructed to say, but she does not know their origin. Charlotte, however, is soon visited by some mysterious observers who torture her to discover where Margot is and ultimately kill her. As Alex was the last to see the woman alive, he is the police’s main suspect. Alex is informed the police are on their way to arrest him, but he has received another message instructing him to meet at a park and concluding with “I love you,” thus confirming to him that it is his wife he will find there. Unwilling to miss the date, Alex flees and leads a heated chase across the city before eluding the cops. From here Alex does some additional investigating and the police chief starts to think the man is innocent of all crimes. The mystery is difficult to follow; the individuals who are after Alex and Margot and the where and why of Margot’s absence are impossible to determine based on the information we are given. The truth has traces of conspiracy in it but not to the extent the viewer might think at certain junctures through the film. Tell No One has the additional Hitchcock theme of worthless law enforcement. Hitch was not a fan of police, but the extent to which his aversion manifested can be debated between truth and myth. As a boy, his father had him locked up in a jail cell for an afternoon because of some digression, and he allegedly from that point on feared police. He refused to drive, always having someone else take the wheel, because of that dislike. Most of his movies have police sniffing up the wrong tree and mis-accusing the wrong man. The same is true here where the plot not only involves Alex as suspect in his wife’s murder but the events are prompted by their new accusal when the bodies of two men are found buried at Margot’s murder site. It is because of police ineptitude in this and Hitchcock flicks that our everyday man finds himself in the role of detective, making the adventure more relatable for we everymen. A compliment I can give to Tell No One that does not find its way into my considerations of Hitchcock flicks is that it is far more emotional than any of the master’s classics. Cluzet gives a wonderful performance through his raw emotions as he discovers what he thinks is his living wife and fights his way to get to her. 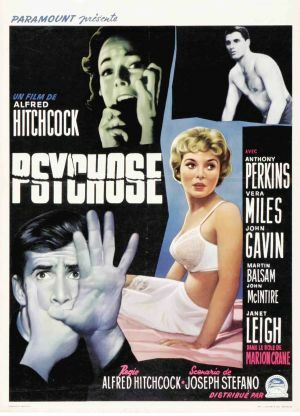 Although all Hitch movies had an element of romance to them, none created the connection between characters we have in Tell No One. Margot is painted as the perfect wife from the opening sequence, and the childhood romance and lifelong relationship she shared with Alex makes their separation all the more profound. 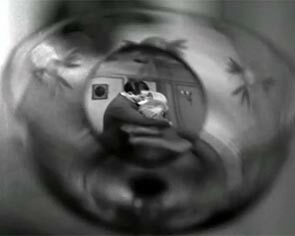 You won’t see me crying during any Hitchcock films, but I’ll admit to some mistiness at multiple moments here. 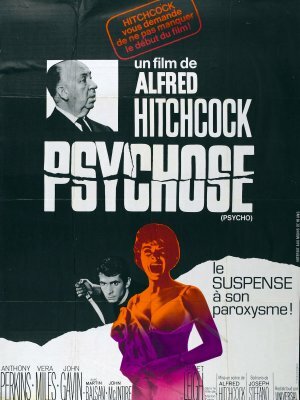 A special thanks to Dorian at Tales of the Easily Distracted for hosting such a creative blogathon about the Hitchcock movies the master never made. See what else fits the bill on her site.